The IGN-1A Race Coil is a smart coil designed to provide 103 mJ per spark, with a longer spark duration (2.9 ms), exactly what is necessary for high rpm, high compression, forced induction and/or nitrous engines! 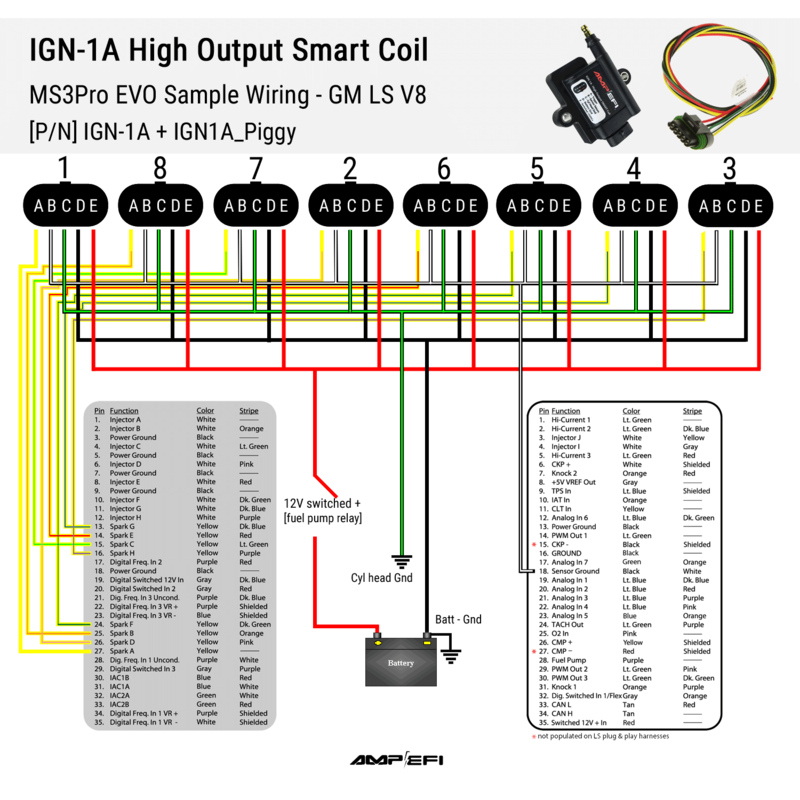 Each IGN-1A Race Coil features a built-in 19 amp IGBT ignitor, can be driven with any 5 volt logic level output and can be fired either sequentially or every crank revolution (wasted spark/ coil per plug). Maximum recommended duty cycle for an IGN-1A Race Coil is 40%. IGN-1A Race Coils are normally used for distributorless ignition as a coil per plug application, however they can be fired sequentially or every crank revolution (wasted spark coil per plug) and do not require a CDI ignition source. Plugs are sold separately. 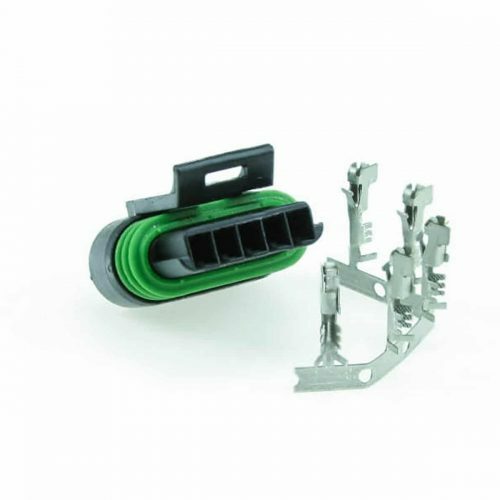 Requires HEI-type plug wire ends/ boots. 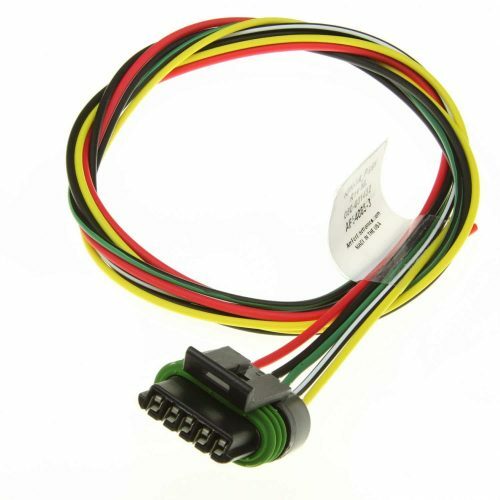 Add a 4 foot color coded flying lead pigtail or a pin and connector kit. The coil dwell starts when a 5 volt signal is applied to pin A and the coil fires when the voltage drops to zero. The signal is similar to an LSx coil, although it does need a bit more current to trigger. IGN-1A Race Coils are very solid, robust smart coils, however, excessive dwell or duty cycle may cause meltdown. As with any race coil, the manufacturer does not provide a warranty. What is the pinout for this coil?